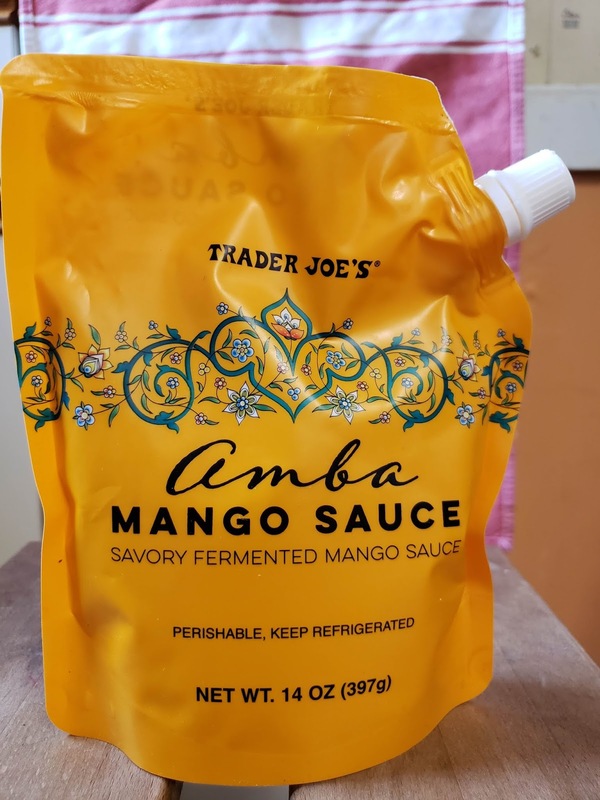 I just bought some last night and dipped my Trader Joe's tempura cauliflower in it. It is excellent! Packaging is eco friendly too. Where is this located in the store? Thanks for all your great reviews. The "Perishable. Keep refrigerated." part on the packaging means it's probably located near the cleaning products. So is it with the cheeses and lunch meats, the dairy, milk, cottage cheese etc., the meats, wraps and salads, or the vegetables and dressings? Thanks so much for your kind assistance herr schmidt. It was by the hummus & fresh pasta at my local TJ'S! Thank you very much, I will look for it in that area. I don't shop the whole store aisle by aisle, so this is a big time saver. I appreciate your help. Aughhh! I was literally just at the store this afternoon and didn’t see this or know to look for it! 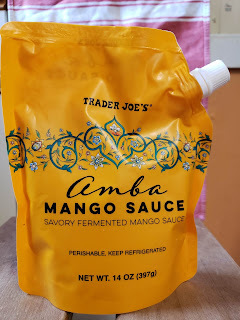 I’m always looking for a new tasty sauce and thinking this could be great for otherwise basic pan fried tofu and veggies. I'm also curious if these pouches are any more environmentally friendly. I mean, they are still plastic. Even if it's recyclable, it would be difficult to clean out, and they won't take dirty items. In fact, I've read that any unclean items will cause an entire batch of recycling to be rerouted to the landfill. I often see my neighbors' dirty stuff in the bin and wash it out so my own work isn't for nothing! But most people don't care to learn how/what to recycle so it gets to feeling like it's all pointless. If the spout is bothersome, one could cut the package open and pour/scrape into a jar. Then it's easier to clean it out too! A thin, flexible pouch (that even gets smaller as the contents are used) is obviously more space-efficient than a rigid container, especially round jars. 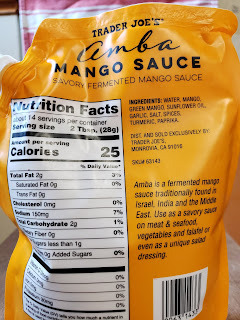 Silly question, but do you put it on before cooking the food (like a marinade) or after (like a dipping sauce)? 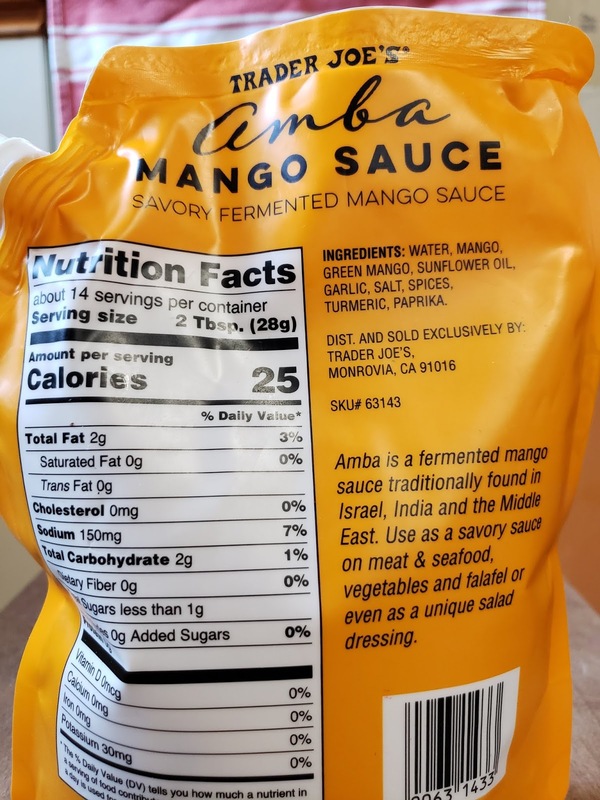 It is mostly used as dipping sauce But you can cook with it too! TJ’s Amba is authentic and tastes really good on a toast with Hummus, sliced tomatoes and hard boiled eggs.. delicious!